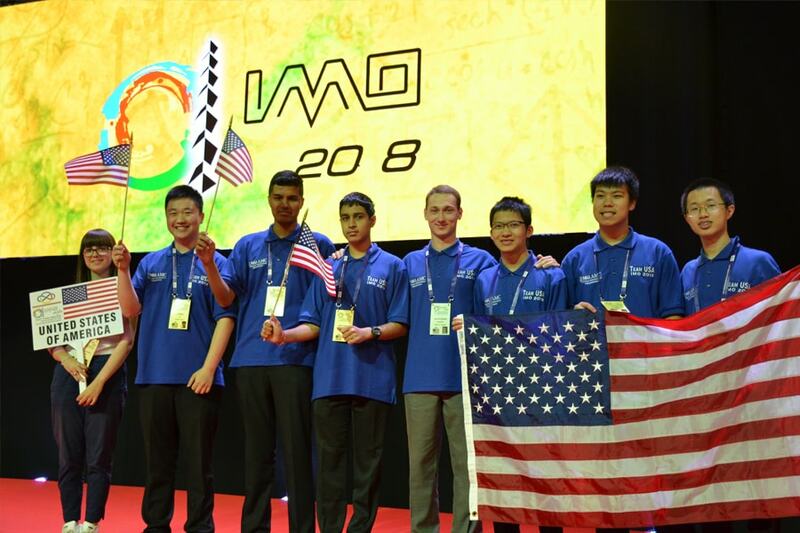 A U.S. team of high school students has taken first place in the 2018 International Mathematical Olympiad (IMO) held in Cluj-Napoca, Romania. This is the United States’ third world mathematics title in the last four years under Head Coach Po-Shen Loh, associate professor of mathematical sciences at Carnegie Mellon University. Loh led the team’s final preparations at CMU, site of the Mathematical Association of America’s Mathematical Olympiad Summer Program (MAA’s MOP). The team had a third CMU connection this year, deputy team leader Sasha Rudenko, Loh’s assistant coach, is a graduate student in CMU’s Department of Mathematical Sciences. During MOP, Loh, Rudenko and a number of teaching assistants help the U.S. IMO team sharpen their problem-solving skills alongside more than 70 of the world's most talented high school students. U.S. students are selected for the team and program based on their performance in the MAA's American Mathematics Competitions. A select group of international students also are selected to participate in MOP. Funded by the Benter Foundation, the Allegheny Foundation, CMU's President's Office and Hillman Foundation through the Henry L. Hillman President's Chair, and CMU's Department of Mathematical Sciences, the addition of international students gives all of the MOP participants the chance for a multicultural experience similar to what the IMO team encounters at the competition. This year, students participated from Bulgaria, Canada, China, Czech Republic, Georgia, Greece, Korea, Romania, Thailand and Ukraine. At the International Mathematical Olympiad in Brazil in 2017, Team USA finished in fourth place out of 110 countries. Jim Axelrod of CBS Evening News met with American mathletes on the road to Rio. 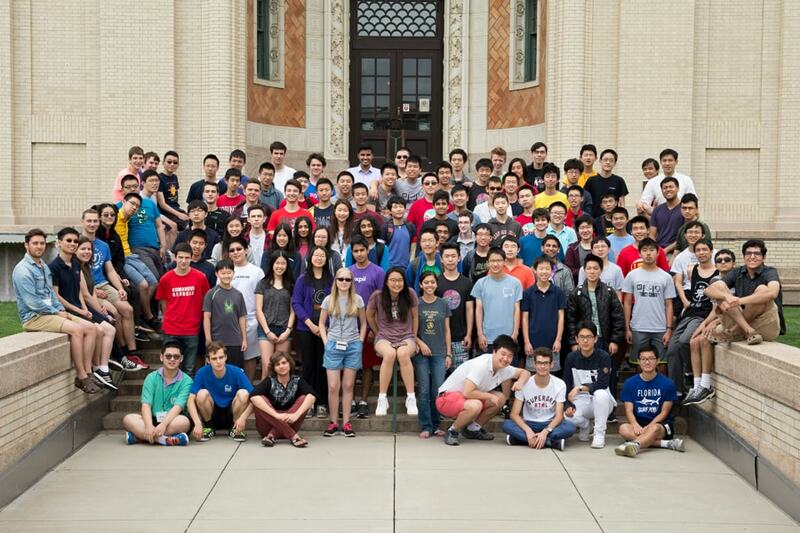 More than 70 of the world's most talented high school students from the United States and 10 other countries visited Carnegie Mellon this summer for the Mathematical Association of America's Mathematical Olympiad Summer Program. "A high-profile competition like the International Math Olympiad gives us the opportunity to bring math into the common consciousness," said Loh, who competed in the 1999 IMO, which also was held in Romania. "While it certainly has a competitive component, which provides some excitement, it is perhaps even more important to seize this moment to think about what we can do for mathematics ability and interest in the world for everyone, just like how the athletic Olympics promotes sporting activity at all experience levels." Loh brings to the U.S. team his unique philosophy for teaching mathematics. To Loh, the goal isn't teaching students how to solve specific problems, but how to learn how to think through a problem critically and creatively. He said he believes that learning math this way helps students to be successful not only in math competitions but in their future academic and professional lives. In addition to placing first place as a team, each of the team members medaled in this year's IMO. Andrew Gu, James Lin, Vincent Huang, Michael Ren and Mihir Singhal were awarded gold medals, and Adam Ardeishar was awarded a silver medal. Lin earned a perfect score.